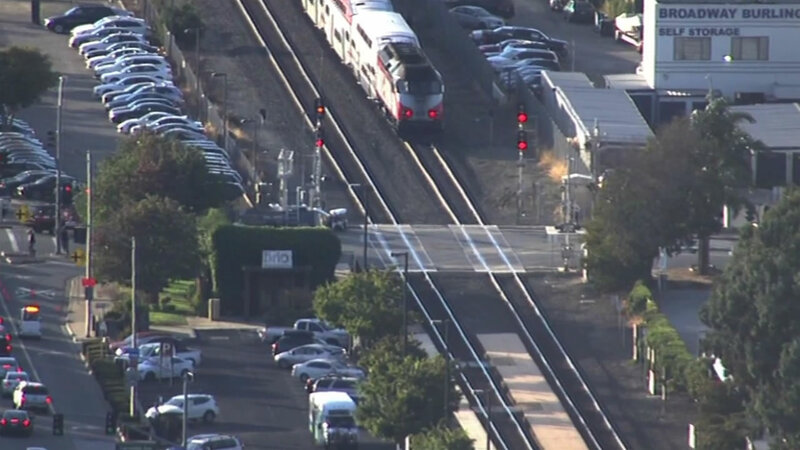 BURLINGAME, Calif. (KGO) -- Caltrain says a train has hit a car at the tracks at Broadway Avenue in Burlingame in the northbound direction. The car took off. Both directions of the train were shut down and are about to resume service. This is the same location where a train hit a vehicle on the tracks last Friday. No one was hurt. The delay was so bad that Caltrain's executive director apologized. More than 900 people were on the express train at the time of that accident.